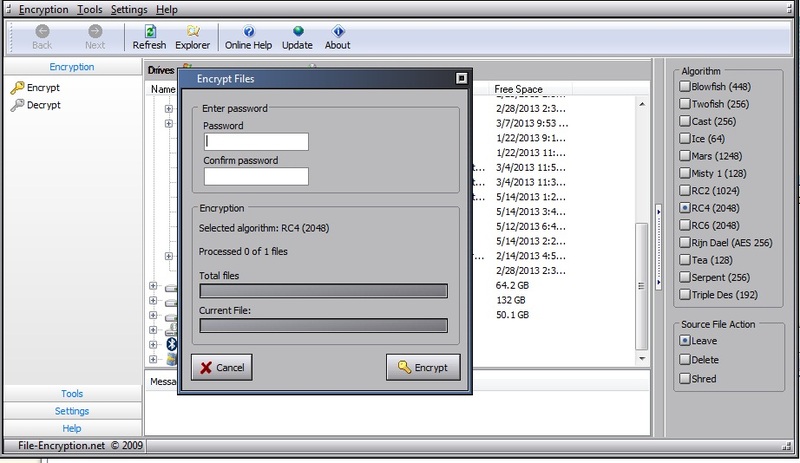 Looking for a tool to encrypts files in your system to protect from unauthorized access? You can try File Encryption. 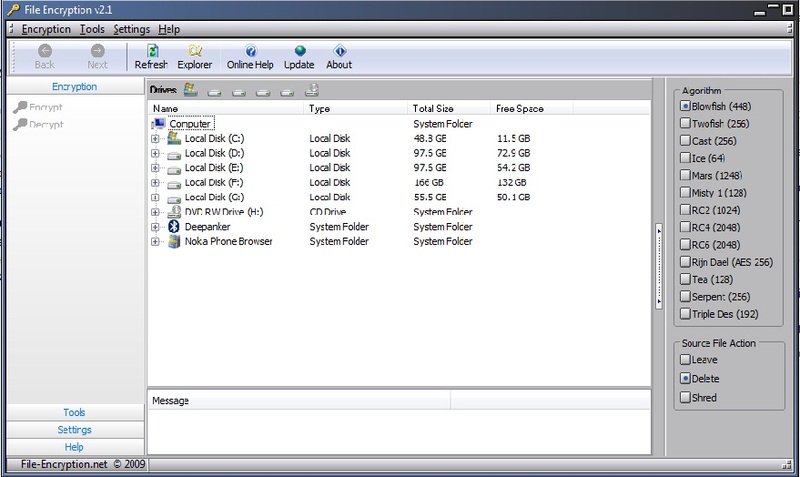 File Encryption is a free tool available for Windows Platform. It help users in protecting their important data by encrypting files. It supports various Encryption algorithms. You can use it to encrypt files and folders of your Windows system. Download this tool from official website and install in your system. It comes with an easy to use interface. It has a three column layout. At the left most side, it has option to encrypt and decrypt files. At the, right most side, it shows the name of all encryption algorithm it supports. At the middle column, it shows hard drives of your system. Browse the file that you want to encrypt from the middle section. Then select the algorithm from the right side. It supports many encryption algorithms. You can use any one you want to use. At the bottom right, it asks what you want to do with original file that you are encrypting. After selecting encryption algorithm and source file action, click on the Encrypt at the left side bar of the tool. Now the tool asks for the password. Enter password and click on Encrypt button. It will create the encrypted version of the file in the same directory where source file located. Encrypted file will have extension .enc. Whenever you want to see the encrypted file, run the tool again, browse the encrypted file from the middle, and then click on Decrypt at the left side. It will decrypt the file and create the decrypt version of file with .dec extension. You will need to remove this .dec extension leaving the rest file name as it is. This tool comes in very small size but work very nice. I personally used this tool in various type of files and folders. It works nice. 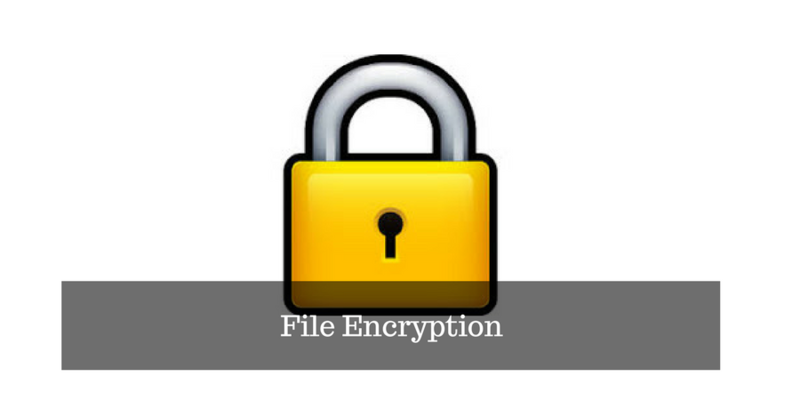 If you are looking for a good file encryption tool, this free tool can help you. You can also use this tool in place of folder locker tools. Use File Encryption and share your views with us via comments.